Dionysus was the son of Zeus and the Greek god of fertility and wine. The Greeks need all the help they can get at the moment. 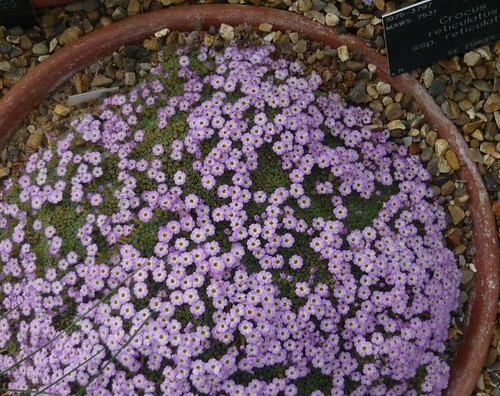 Lending one of their gods to the name of these small cushion plants is a form of reciprocation I suppose. 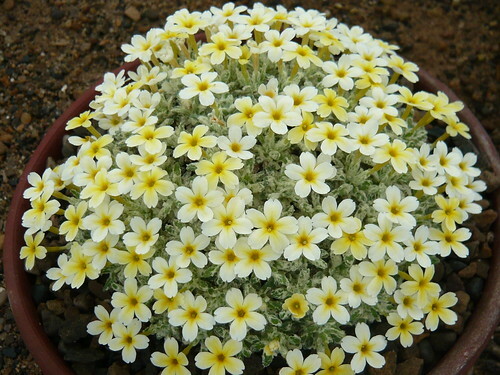 Dionysia are found in the high mountains of Iran and Afganistan. 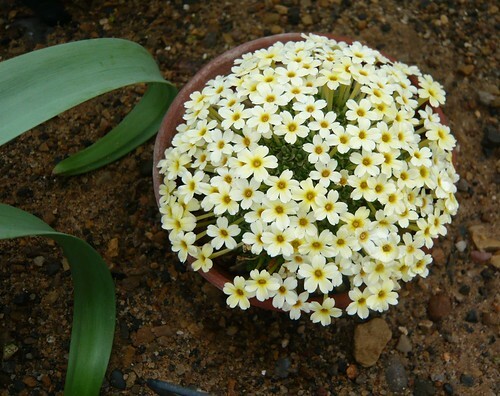 Dionysia species grow on limestone under overhanging rocks or in crevices. Plants prefer to face south to encourage flowering. Dionysia is in the family Primulaceae. 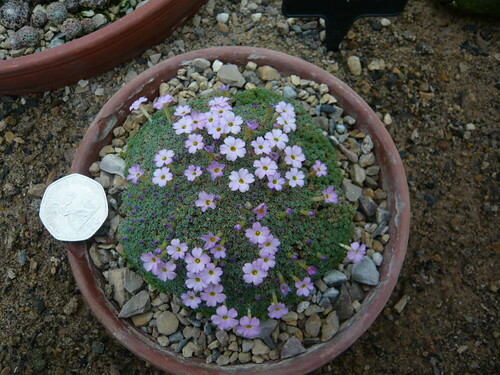 The Genus Dionysia, written by Chris Grey-Wilson and published by the Alpine garden society. 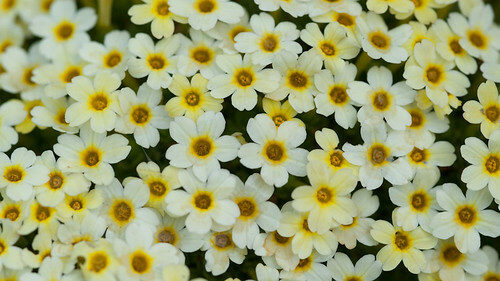 The Plant List details 66 scientific plant names of species rank for the genus Dionysia. Of these 54 are accepted species names by WCSP the World Checklist of Selected Plant Families. Dionysia are not easy to grow well but the mass of flower is very rewarding if you get the conditions just right.